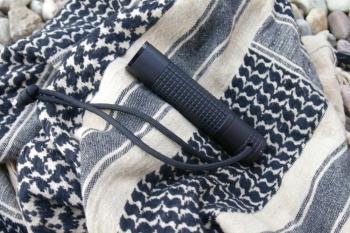 There are about a thousand brands of "tactical flashlights" available however there there is much that separates the backyard toys from a flashlight that you would feel confident staking your life on when equipment abuse is high and you only have once chance at enlightening your situation. 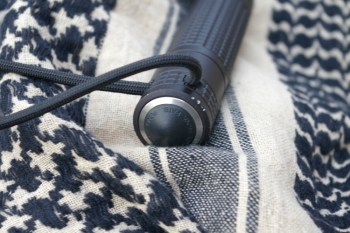 Everyone in my opinion needs a quality tactical light. Sight is after all our primary survival tool and without being able to see what the hell is going on, it's tough to be able to react. If you are not hip on what has happened in flashlight technology in the last 10 years then.. let me enlighten you. The new bread of high performance LED flashlight outperform the largest 2 foot long 4+ cell Kypton bulbed Maglites everyone is familiar with in every respect and are so small they can fit in your back pocket. A good light is not cheap and start in the $50+ range. When you look at premium weapon/tac lights in an affordable range a couple names come to mind including Surefire, Streamlight, and Inova. Blackhawk and others have super premium higher strength more feature rich lights as well, however I have yet to find a quantifiable performance difference between a $200 flashlight and one less than half that price such as the Inova X3 and T1 lights I am reviewing here. Features most premium flashlight brands integrate is what makes them preferred for hard use mission critical environments. LED light "bulb" diodes - LED lights are virtually indestructible compared to bulb based lights and can take huge amounts of impact and not fail. Additionally they typically burn exponentially longer, are virtually replacement free and then of course they provide the brightest whitest light of any bulb. Thick machined billet aluminum body - Extruded bodies are nowhere near as strong. Another option are the new High strength polymer bodies which are tauted to be as strong as aluminum. Electronically controlled LED and power control. - These flashlights run longer and can also feature various functions including momentary on, click on/off, strobe, and low output options all via one button. Precision machined aluminum reflector - High output LEDs do generate a lot of heat and if the reflector is not aluminum it will meat with long run times. Dual side coated anti-reflective coating makes the light brighter. Waterproof construction keeps the light running even during wet times. CR123A Battery Power - These lithium batteries power all sorts of tactical equipment and deliver more power longer than nearly any other battery and have a near indefinite shelf life. The Inova T1 series is a huge value in the flashlight market designed as a a cutting edge super premium spot flood light. It has a intense refocused spot light with a gentle flood light at the edges. The run time is about 5 hours on high output setting which is still very long however what you trade off in less run time is over twice the output of the original X5 flashlight to a stunning 120 Lumen output for 5 hours. The new T1 version offers high/low/strobe/ and light lockout settings and a 120 lumen output. 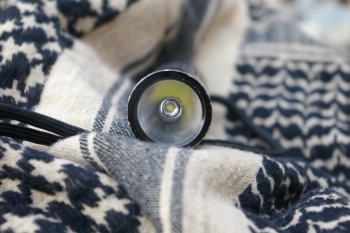 On the low setting for ambient light, this flashlight can an amazing 38 hours at a 16 lumen output. The advantage is that you get two flashlights in one. Blinding and I do mean blinding light, low output map reading light, and a tactical disorienting strobe for defensive use. In the realm of premium flashlights there are certainly brighter lights however there is always a direct relationship between high output and length of run-time. For me the power and size the Inova X3 and T1 pack into an affordable tactical light makes me believe this is a light everyone can afford. Inova T1 & X5 Series LED Tactical Flashlight both are the best model of the tactical flashlight which is best for comparison to other tactical flashlights.